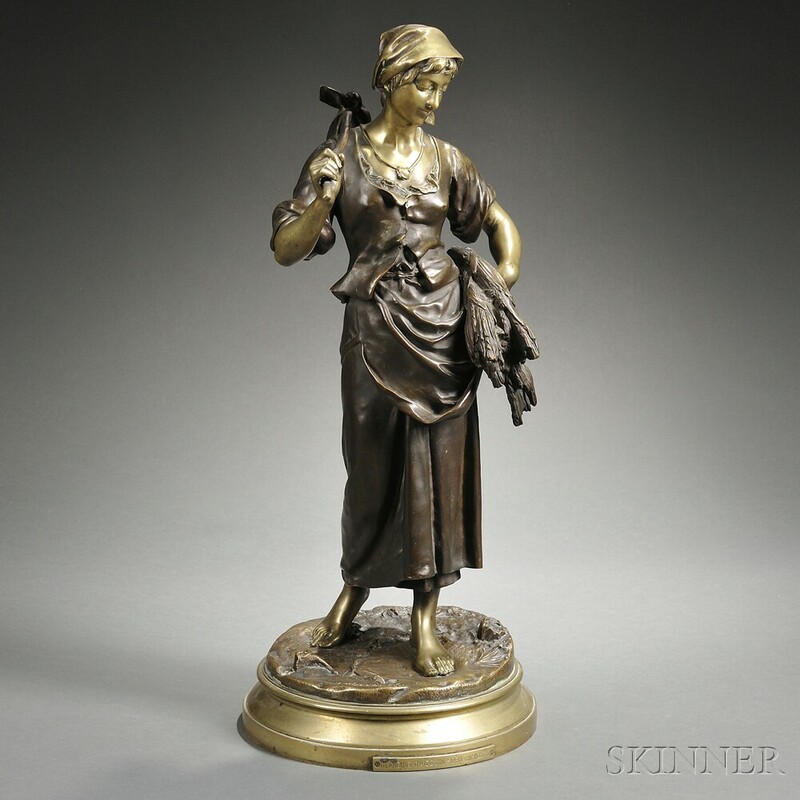 Glaneuse, the bronze cast as a standing female figure with harvested wheat under one arm, with partial dark brown patination, flesh unpatinated, base incised "E. AIZELIN Hors Concours," on bronze base mounted with identification plaque, total ht. 27 1/2 in. Scattered surface abrasions and imperfections.